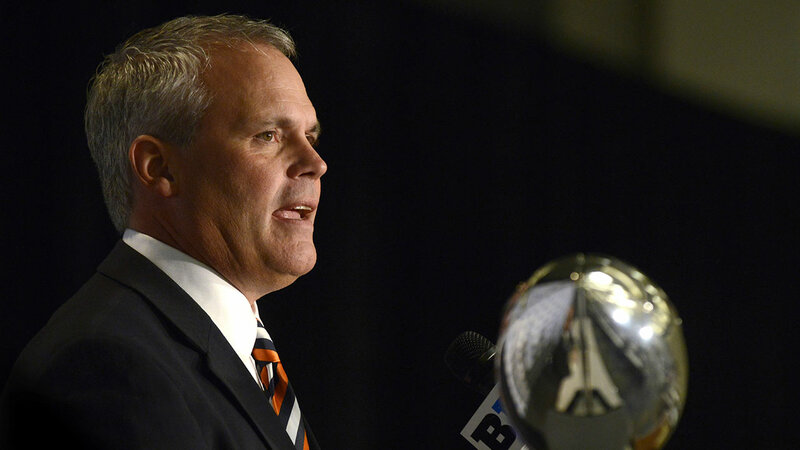 URBANA, Ill. (WLS) -- Tim Beckman has been dismissed as the head football coach at University of Illinois at Urbana-Champaign, Director of Athletics Mike Thomas announced Friday. The decision came as a result of a review of player mistreatment allegations, according to the statement. Although a final report has not been released, Thomas said the move was "in the best interests of student-athletes to act now." "The preliminary information external reviewers shared with me does not reflect our values or our commitment to the welfare of our student-athletes, and I've chosen to act accordingly," Thomas said. "During the review, we have asked people not to rush to judgment, but I now have enough information to make this decision in assessing the status and direction of the football program." Bill Cubit has been named interim head coach for the 2015 season. Cubit joined the Illini coaching staff as an offensive coordinator in 2013. More than 90 individuals have been interviewed as part of the mistreatment allegations as well as 200,000 documents reviewed with practice and game video from Beckman's three years as coach, according to the statement.